Liquid eyeliner is an easy way to amplify your favorite makeup look, but no need to worry if you don’t have any on your shelf! We tested a few DIY recipes to help you concoct your own winning blend. The first eyeliner calls for coconut oil and cocoa powder. Mix together 1 tsp. cocoa powder and ½ tsp. coconut oil. Apply to eyes using a makeup brush. Coconut oil has made waves in the beauty world as one of the best natural ingredients for homemade beauty formulas. With numerous benefits for your skin, it’s a gentle moisturizer that works for many people. 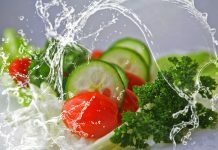 The recipe took just a few seconds to make, using ingredients far less expensive than a typical pot of liquid eyeliner. 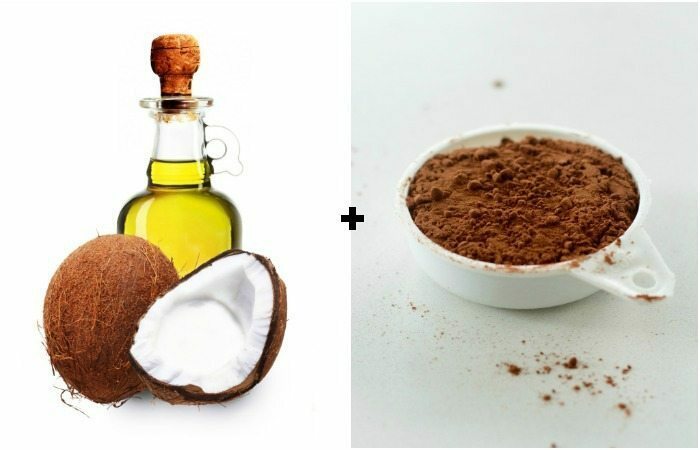 Hint: Be sure to melt the coconut oil so that it mixes well with the cocoa powder. Wait until it has cooled to apply. I experimented once before with coconut oil to create eye shadow, with lackluster results. I tried modifying this recipe to use less coconut oil, but even then, the eyeliner still did not show up on my eyelids. Coconut oil is a beloved DIY ingredient…except when it comes to eye makeup. Some have complained that it irritates their eyes. 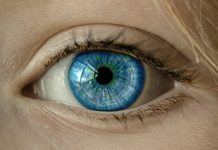 Test a small area first before applying coconut oil to your entire eyelid. To avoid bacterial growth, don’t store the leftovers of this eyeliner. If you have eyelash extensions you shouldn’t get oil on your lashes because it can loosen the bond of the glue. The second eyeliner calls for water and your regular eye shadow (pressed or loose). If you’re using loose eye shadow, sprinkle the shadow into a small amount of water in the lid of the eye shadow container. 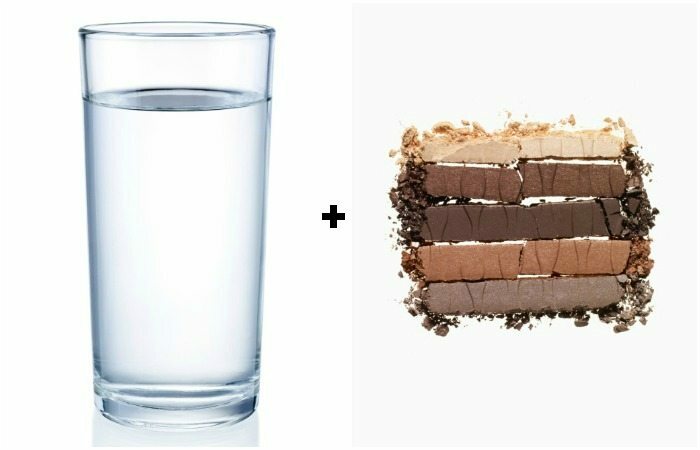 Mix and apply using a makeup brush. If you’re using pressed eye shadow, wet the tip of a makeup brush and dip directly into the eye shadow. Apply using a makeup brush. The results were fantastic! Eye shadow created a liner that was colorful and bold, and looked even better than the eyeliner I usually use! You already have all the ingredients for this recipe! Remember that many brands of eye shadow are not as harmful as you may think. Check out your eye shadow’s rating on the Environmental Working Group’s Skin Deep website to see how your favorite ranks up. Just because you use traditional cosmetics rather than kitchen ingredients in a DIY recipe does not mean the result is detrimental to your skin. For those wishing to dabble in DIY beauty recipes, this method doesn’t allow much room for experimentation. Do not saturate the brush with water or the eyeliner will not show up. It’s harder to undo mistakes made with the liquid eyeliner, so use a good brush and a steady hand, and don’t try to apply on the go. Verdict: Water and eye shadow overwhelmingly win this beauty match-up! 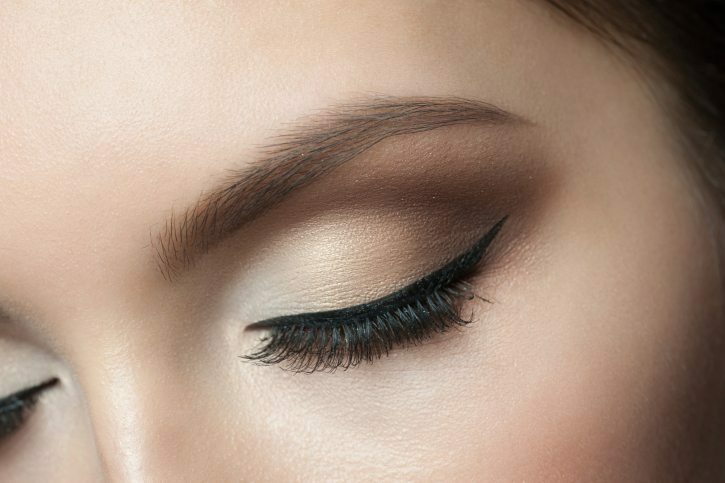 Put your eye shadow to work as eyeliner to create extra definition around your eyes. For more Pretty & Pamper features, check out our articles here. Have you tried an alternate liquid eyeliner before?